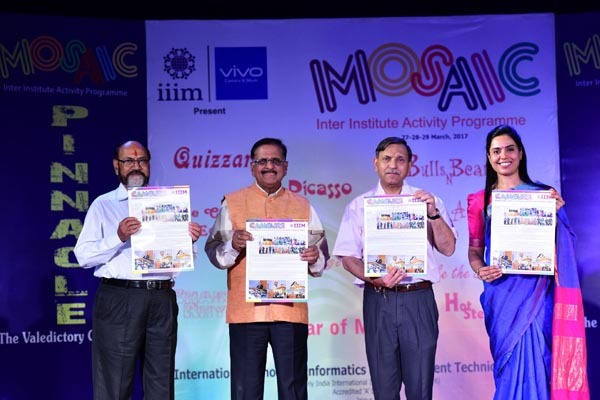 MOSAIC 2017, the 21st annual management fest of IIIM was organized from 27-29 March, 2017. 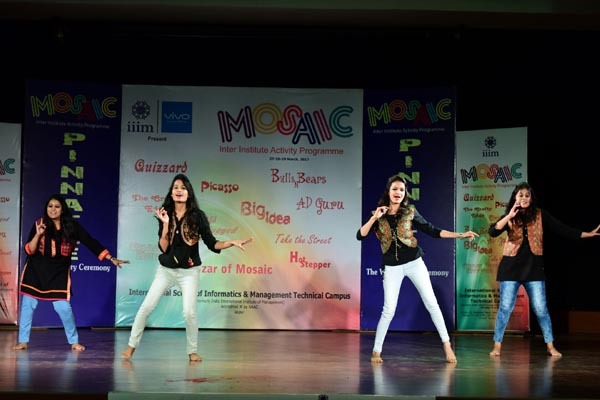 Mosaic has always provided an opportunity to students to showcase their talent and encouraged them to work with enthusiasm and commitment. 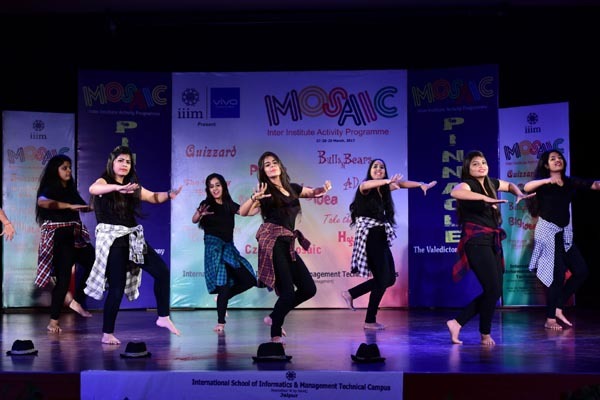 Mosaic 2017 witnessed participation from more than 25 B-Schools across the Country. 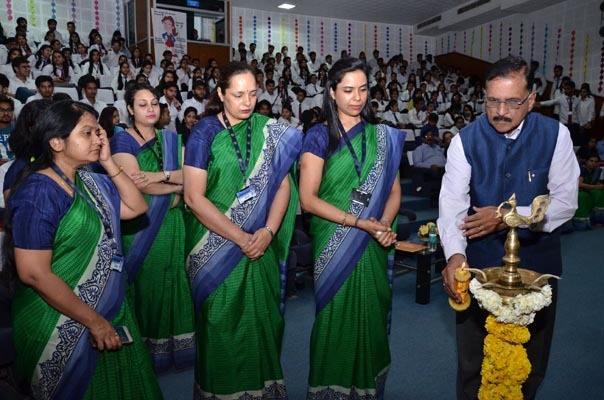 “The Fountain Head”, the inaugural ceremony was initiated by Lamp Lighting by Dr. Ashok Gupta, Director, IIIM and Vice Chancellor, The IIS University and Saraswati Vandana. 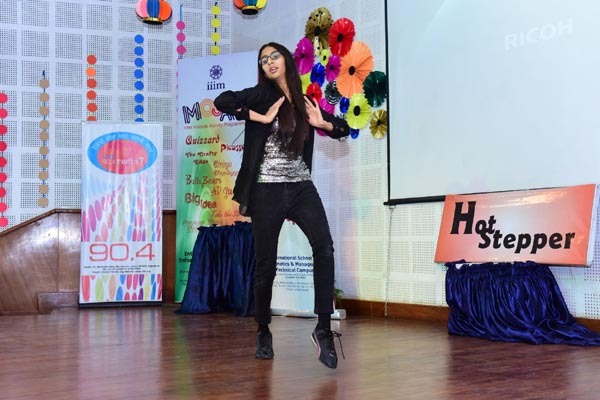 The event further proceeded with a presentation on Ms. Arundhati Bhattarchary reflecting her perseverance, effort and risk taking ability which further inspired the budding managers. The Fountain Head was succeeded by “QUIZZARD” –an event that tested the sense of awareness among the participants. 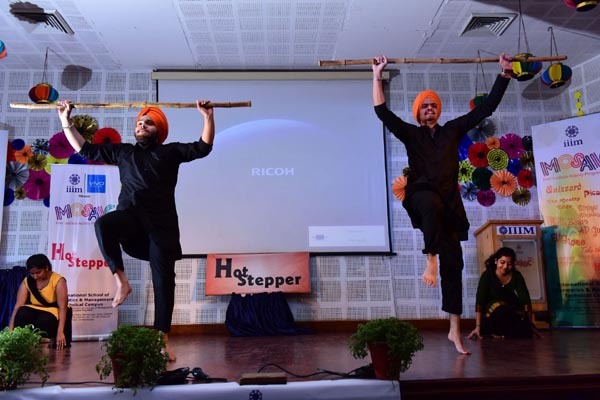 The winners of the event were Mr. Ashwani Kumar Choudhary and Mr. Shreejith Menon from IILM, Jaipur. 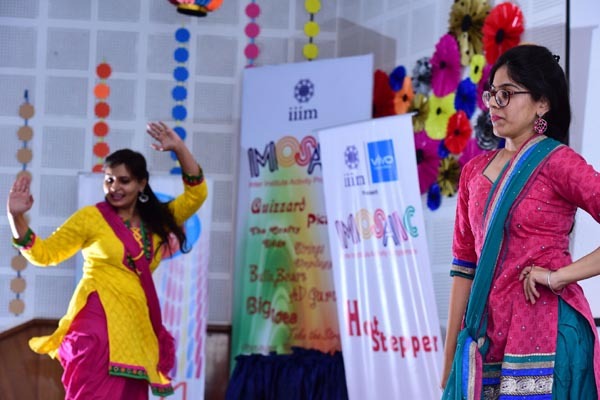 The runners up were Ms. Manisha Bhadra and Mr. Bibekanand Sahu from Mewar University, Chittorgarh. 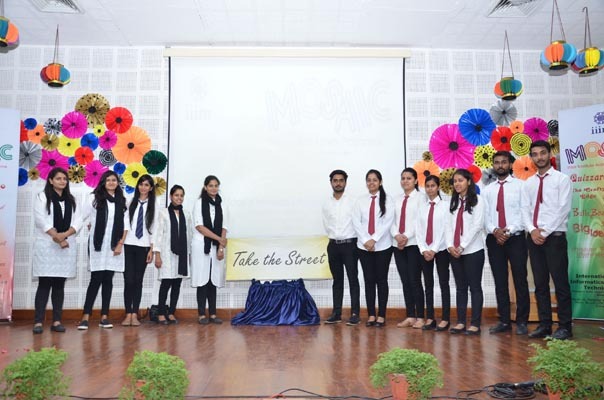 It was followed by “TAKE THE STREET” where participants presented a musical street play. 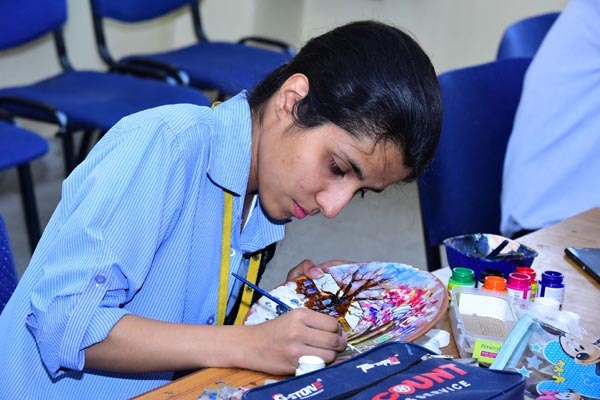 The event was judged by Mr. Manu Chandak, 2D Artist, Mr. Varun Bansal, CA, Kalani Group and Mr. Asif Sher Ali, Director Do Kadam. 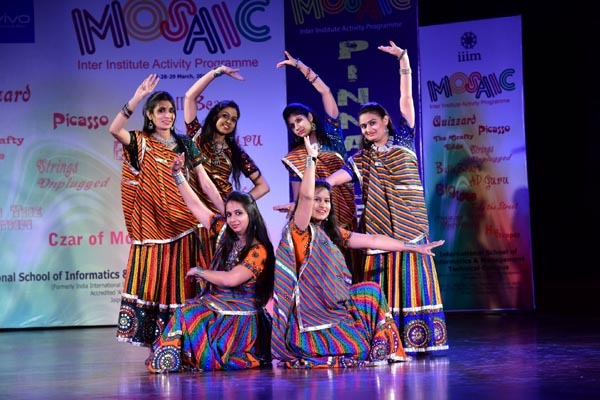 Modern Institute of Technology and Research Centre, Alwar was the winner and the runners up team was from S.S.Jain Subodh Girls College, Jaipur. The day ended with the event “CHAIN THE RHYTHM” -an antakshri competition. 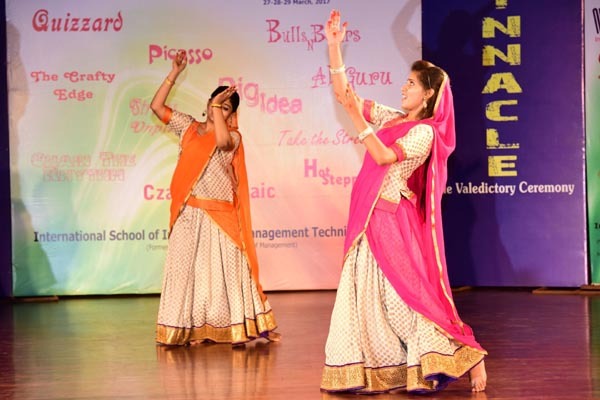 Ms. Twinkle Bhadauria and Ms. Ayushi Munot from Jaipur National University secured first position. 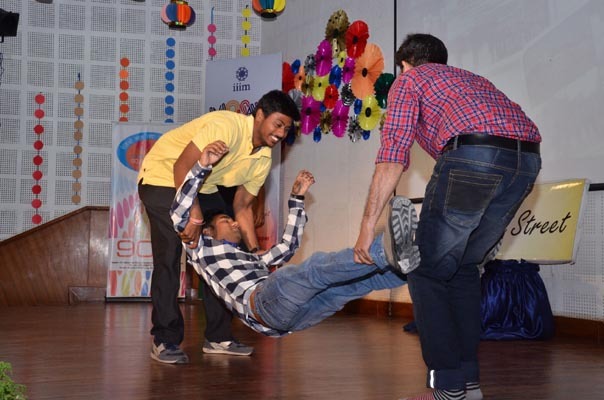 S.S.Jain Subodh PG College represented by Mr. Ashish Sharma and Mr. Akshay Udawat was the runner up for the event. 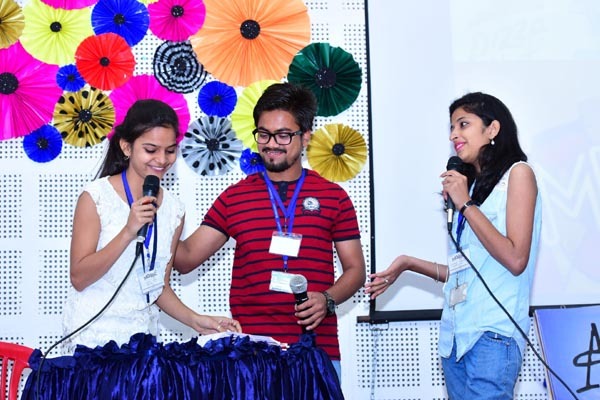 The second day of the fest started with “CRAFTY EDGE” in which the participants had to develop business strategy on products-Pencil or Plastic Bottle. Mr. Gautam Gupta, Founder, Ensign Apparels Pvt. 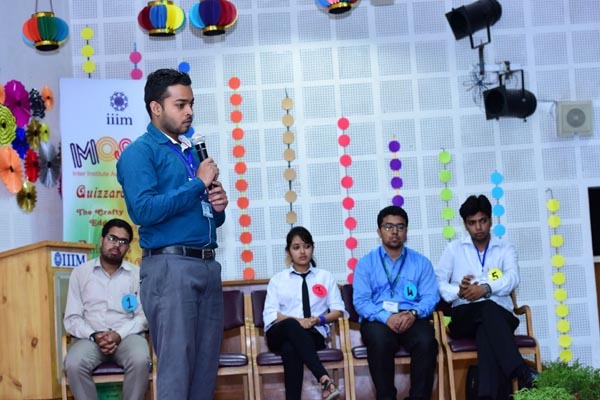 Ltd and Mr. Amit Paul from Xtensible IT Solutions were judges for the event. 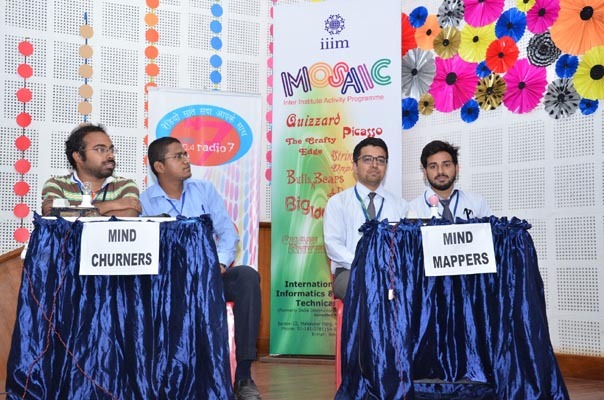 Mr. Navil Chawla and Mr. Ruqsar Ahmad Mir from Mewar University, Chittorgarh secured the first position and Mr. Sandeep Chokan, Mr. Paramveer Singh and Ms. Lavina Goyal runners up of the event were from Modern Institute of Technology and Research Centre, Alwar. 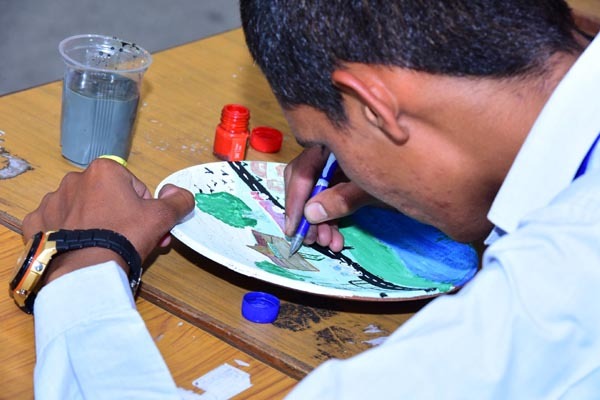 It was followed by” PICASSO”, a vibrant event where the participants were required to paint the given object. 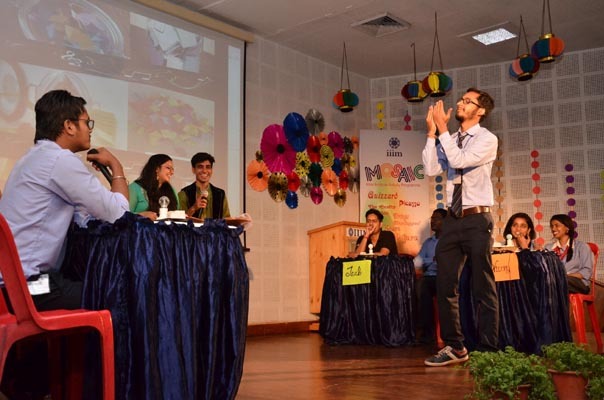 The judges of the event were Mr. Aditya Kumar, 2D Artist and Mr. Shwet Goel from The IIS University. 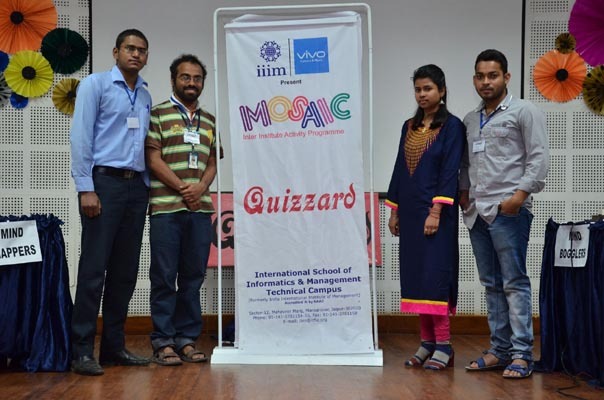 Ms. Devika Shekhawat from The IIS University and Mr. Shreejith Menon from ILLM were the winner and runner up respectively. The next event was Bulls N Bears, where participants used their analytical skills for Virtual Share Trading. 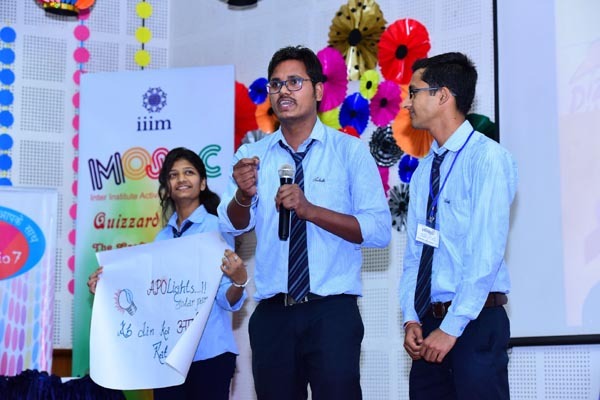 Team Ms. Deepika Jain and Ms. Payal Mittal from IILM was announced the winner andMr. 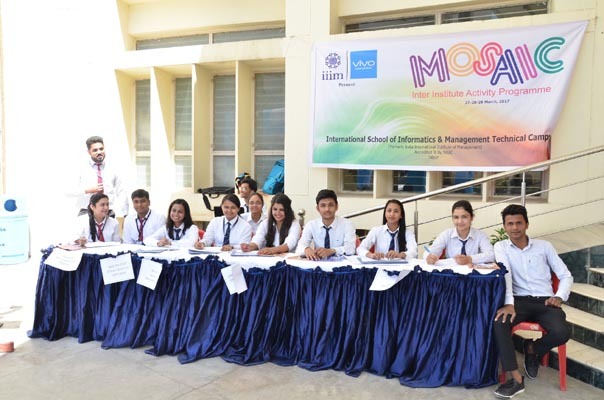 Shiva Garag and Mr. Yavan Saini from Modern Institute of Technology and Research Centre, Alwar secured runners up position. 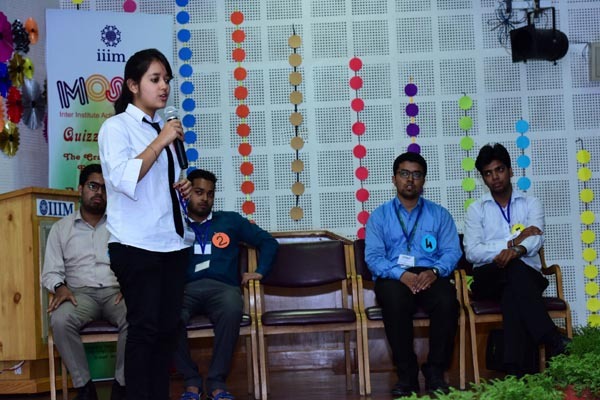 Next event of the day was BIG IDEA where students were required to design a poster on the theme – Sustainable Future-Digital India. 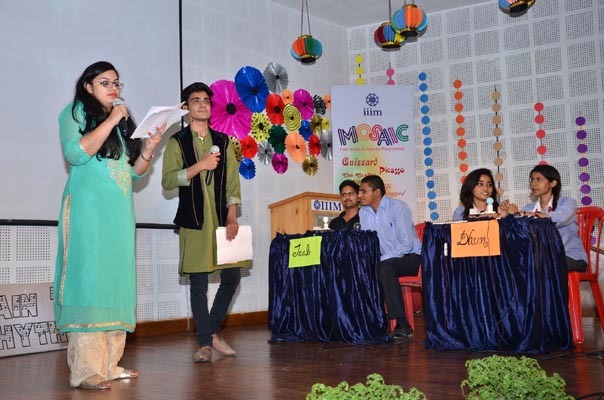 The event was judged by Ms. Alka Batra, MD, Aegis Jobs Pvt. and Mr. Narendra Khatwani, Founder, Roomhaikya.com. 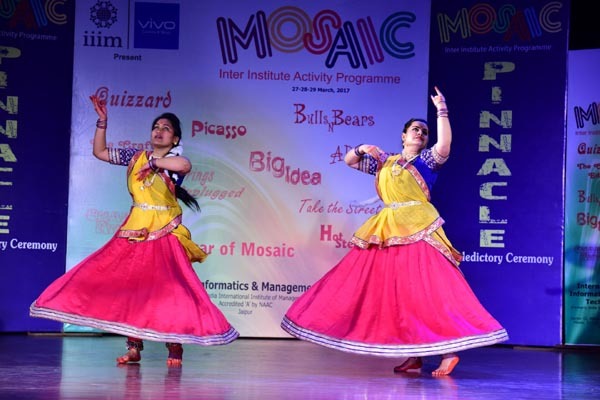 Mr. Shubham Grover and Ms. Lavina Goyal from Modern Institute of Technology and Research Centre, Alwar were the winners. 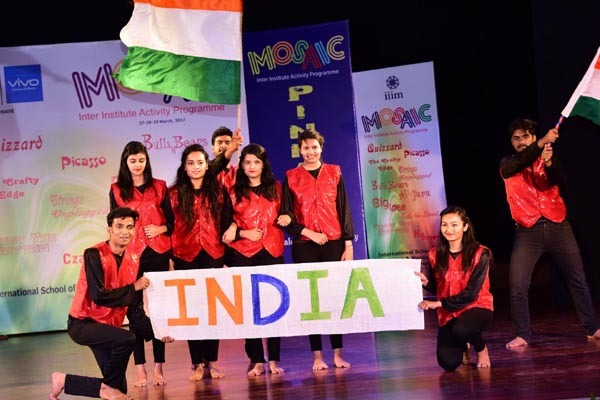 Poornima University was the runner up represented by Ms. Upasana Banerjee and Mr. Shubham Kumar Singh. 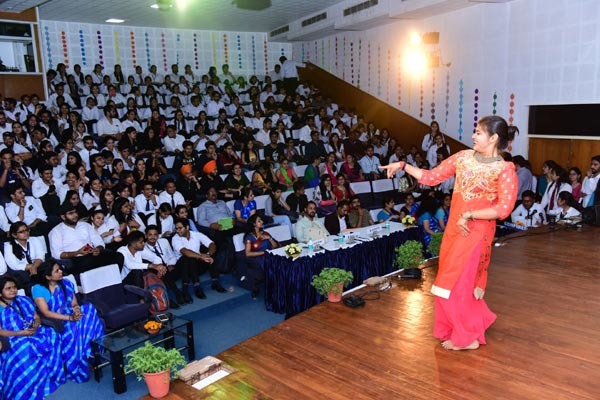 Participants further witnessed AD GURU, an event to present creative advertisements on products-Solar Light or Paper Board. 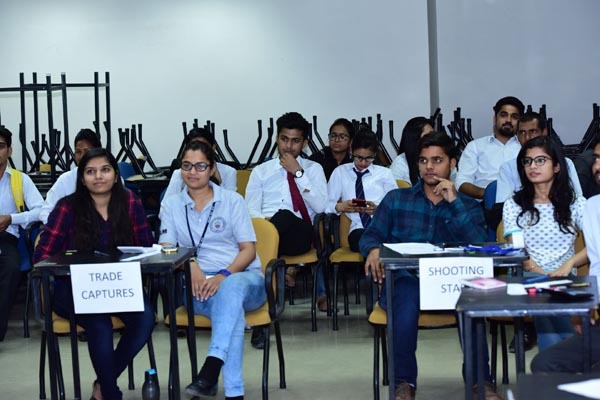 Ms. Ruchi Pareek, 2D Artist and Mr. Vivek Chugh , Sales & Marketing, Country Inn judged the event and announced team Ms. Mahima Shikhawat, Mr. Devansh Yadav and Mr. Aditya Gautam from Amity University as the winners and Mr. Sandeep Chokan, Mr. Gaurav Naruka and Mr. Deepan Panwar from Modern Institute of Technology and Research Centre, Alwar as the runner up of the event. 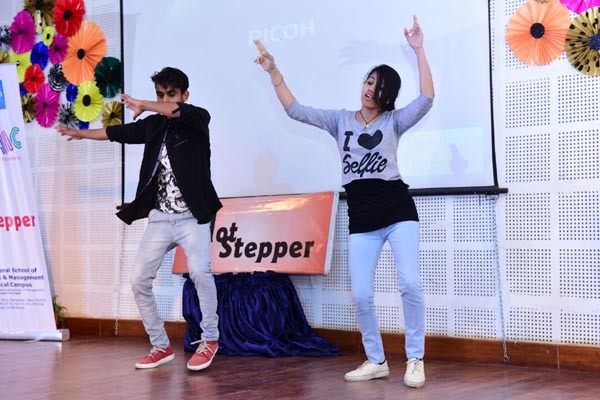 The day successfully ended with the HOT STEPPER, an event where participants showcased their multi-faceted talent by performing various dance forms. 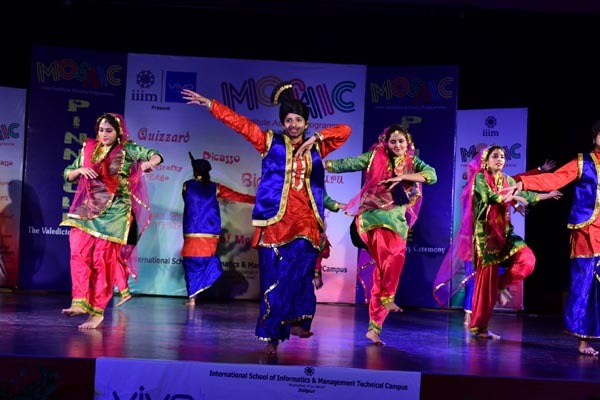 Mr. Lalit Mukhija, Mr. Ankit Choudhary & Ms. Mansi Sharma from Modern Institute of Technology and Research Centre, Alwar was the winner and the position of runners up was secured by Mr. Siddhart Saini and Ms. Lucky Sanhkla from Jaipur National University. 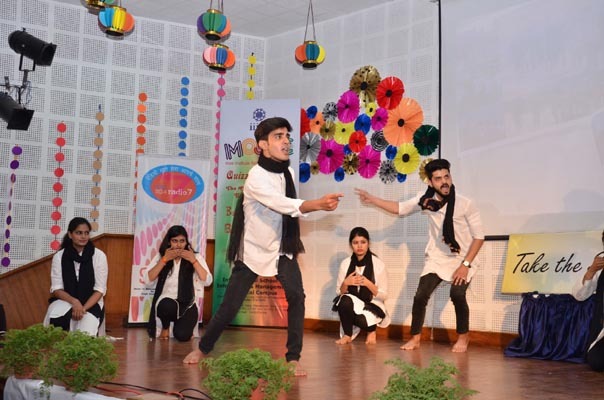 The last day of fest witnessed STRINGS UNPLUGGED, a solo singing competition which provided a platform to participants to exhibit melodious depositions. 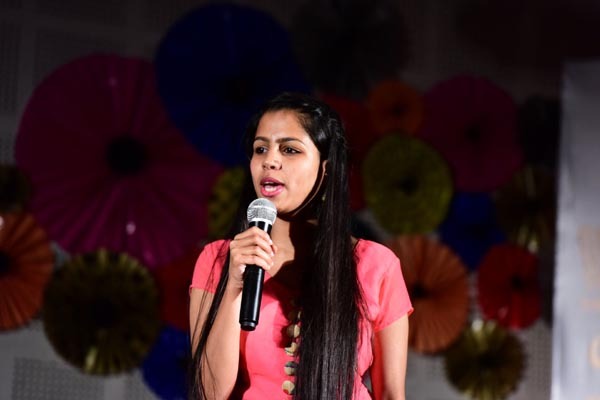 Ms. Tushita Singh from St. Wilfred’s College was announced the winner of the event. 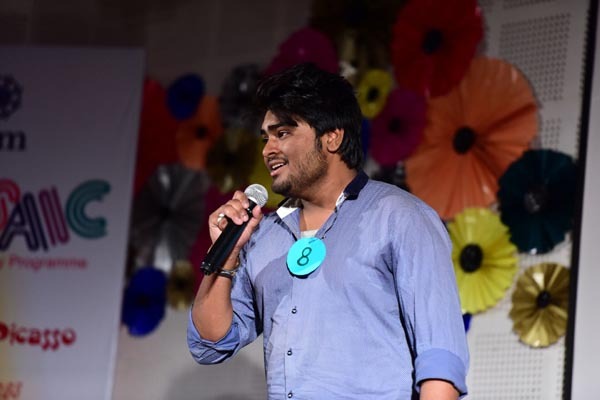 Jaipur National University represented by Mr. Dheeraj Sinha was the runner up. 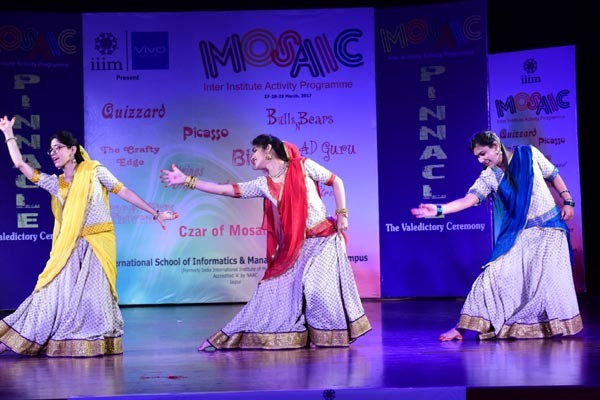 Event THE CZAR OF MOSAIC was conducted at three levels. The first round was ‘Quiz’ round. 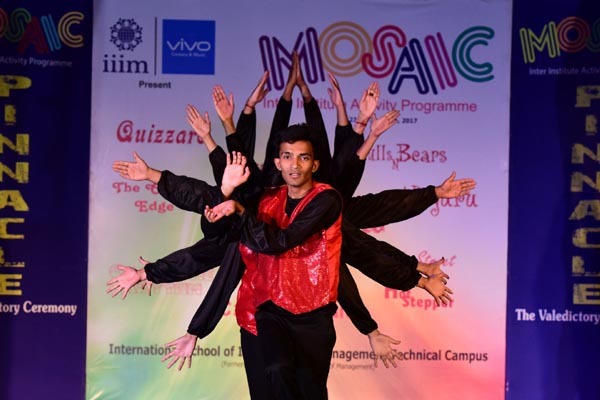 The shortlisted candidates were evaluated further at second level -‘Geistesblitz’ round. 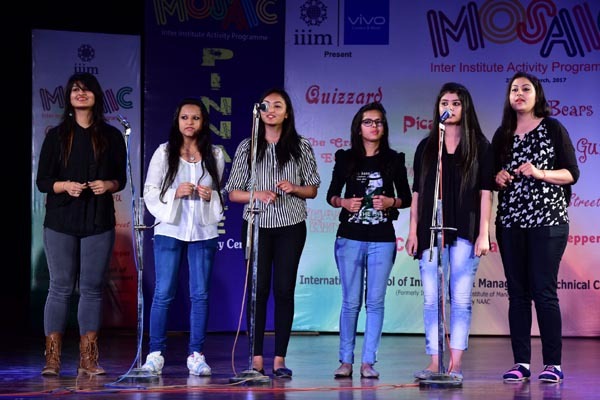 It included rounds on extempore, personality, monument and voice recognition. 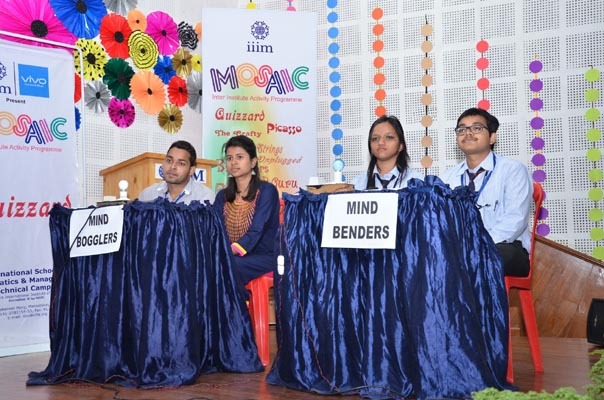 The culmination round was the ‘Judges’ round where the shortlisted candidates had to relate themselves to an object followed by a Question and Answer round. 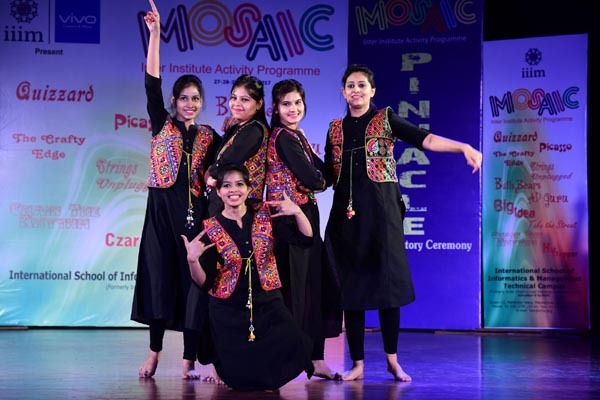 Ms. Mansi Sharma from Modern Institute of Technology and Research Centre, Alwar was given the title of CZAR OF MOSAIC. 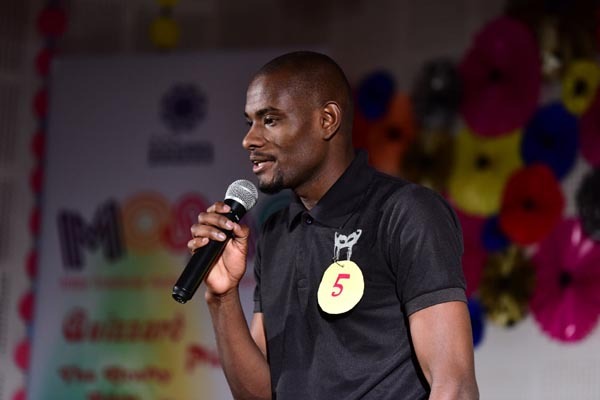 The event was judged by Mr. S.N. Joshi, General Manager, Guman Group. 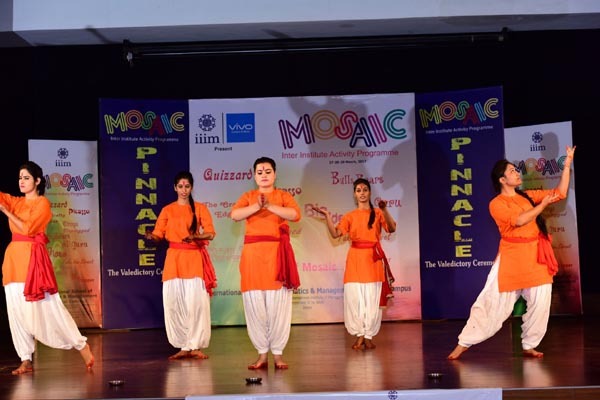 The valedictory ceremony “PINNACLE” marked the culmination of the three day fest. 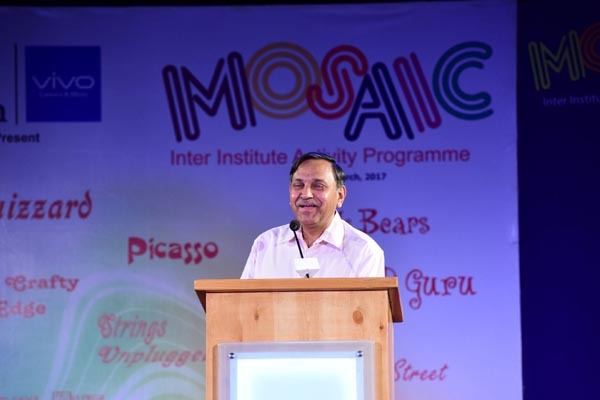 The Chief Guest of the ceremony was Mr. Abhimanyu Singh, Retired IAS. 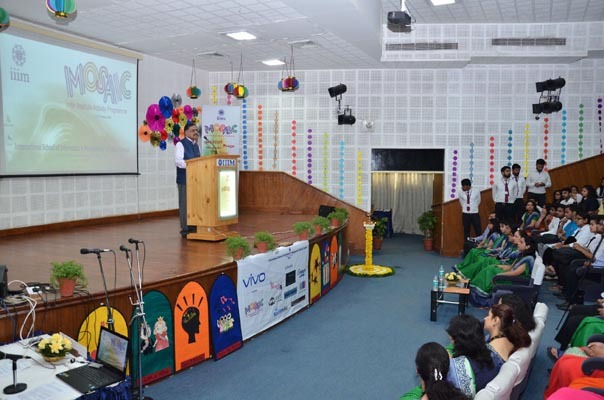 In his address he emphasised on the needs of various skills that are required in the students for better employability, such as developing positive attitude, internal and external motivation and also how to handle negative attitude. 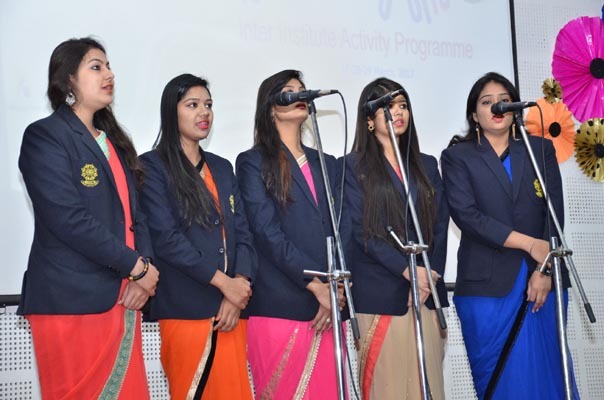 Sir also emphasized on Four attributes of career success i.e. intelligence quotient, emotional intelligence, cultural intelligence and passion. 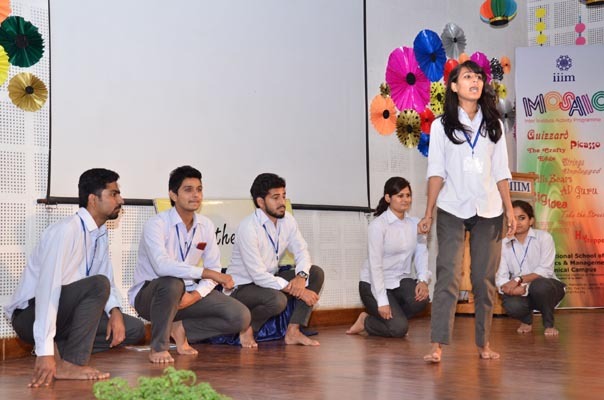 He praised the performers and motivated the budding managers with his invaluable words. Mr. Abhimanyu Singh felicitated the winners with awards and certificates. 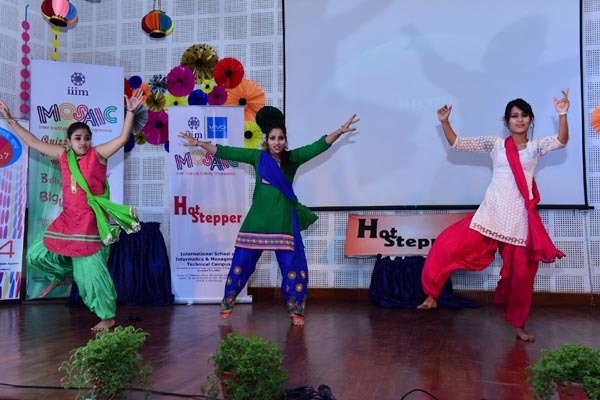 With this, the three-day cultural extravaganza came to an end with glittering prize distribution ceremony following the exhilarating performances by the students in the group dances on contemporary, western, bollywood dance forms and traditional, Punjabi folk songs. 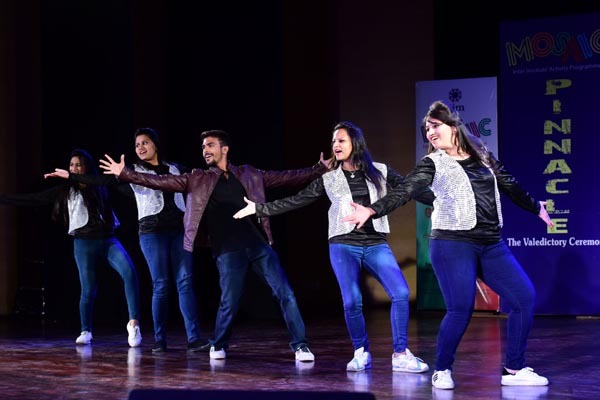 The budding managers left the audience spellbound with their electrifying performances. 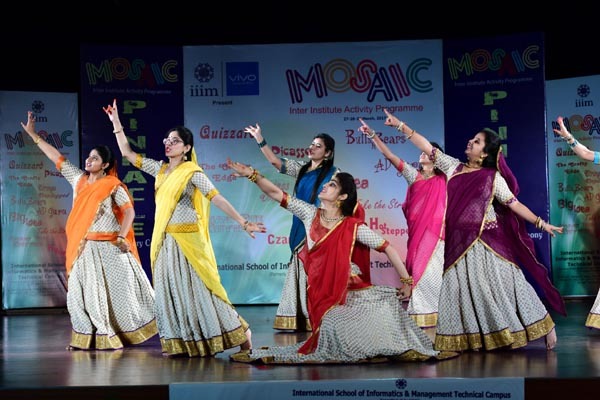 The digital presentation on glimpses of MOSAIC-2017 reflected the fun and frolic during the past three days and had a long lasting impact on the audience. 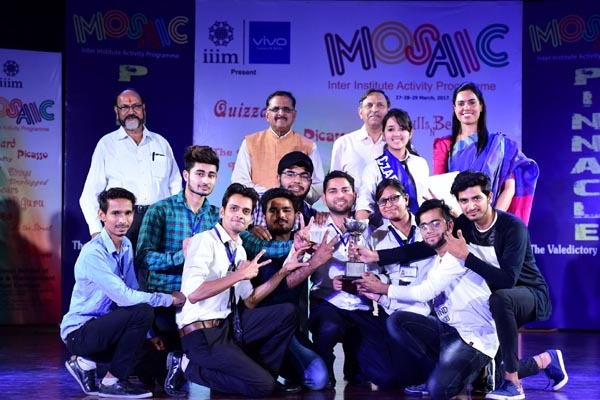 Modern Institute of Technology and Research Centre, Alwar was announced the overall winner of MOSAIC-2017 and were awarded the Rolling Trophy. The event was a great success with the support and efforts of the guests, sponsors, all the participating institutes and the IIIM Team.